Thanks to Carlos Silvano for providing these images. 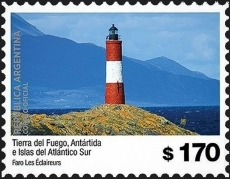 As noted in a previous post, the Columbus Lighthouse is not truly a lighthouse but there have been many stamps issued commemorating it. The Dominican Republic stamps shown here were issued in 1928 before the design of the monument was determined.